Indian sports hotties that can give tough fight to Bollywood actresses. If you think that beautiful women are just made for the fashion industry, then you are wrong! Here is the list of beautiful Indian women who are not just giving men a tough competition in games but also adding glamour to their respective sports. They prove that Indian women are no less than anyone whether it is sports, science or anything. She is Indian professional tennis player. Whole India knows how beautiful she is! She started playing when she was just 6 years old. Numerous titles are knighted to her; the latest – rank no. 1 in women’s doubles ranking. She is also awarded Arjuna award, nation’s highest sports award. She is the most successful and gorgeous Indian sportsperson. 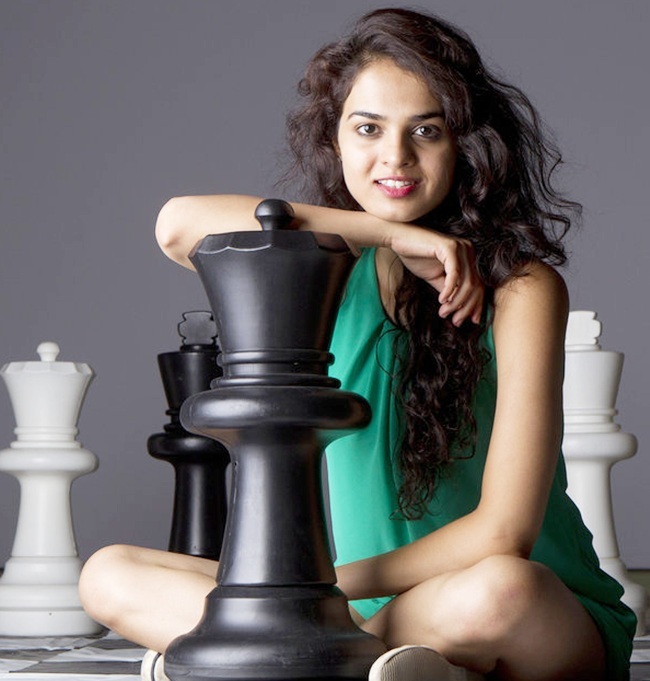 She is an Indian chess player and an ultimate combination of the brain with beauty. She won her first international title when she was just 8 and now she holds the FIDE titles of International Master (IM) and Woman Grandmaster (WGM). Her innocent looks and beautiful smile will make no one believe that she is also a chess presenter and commentator. She has also won Arjuna award. She is India’s most accomplished squash player. She was the first Indian to break into the top 10 WSA rankings. Her beautiful eyes and glamorous look have made her win several modelling contracts. When talked about her achievements, she has won 3 WISPA tour titles in 2001, which led her to achieve a career best ranking of 13. She is also an Arjuna Awardees’. She is the current Captain of Indian Women’s national Basketball team. She became famous when in 2010; she was awarded the Most Valuable Player in India’s first Professional Basketball league, MBPL 2010. She is the daughter of former wrestler Chandgi Ram. Sonika Kaliraman, 6 feet tall wrestler with elegant looks, is the only female Indian wrestler represented India in Asian Games and became a member of Indian squad in Doha Asian Games. She has participated in numerous TV reality shows such as Fear Factor: Khatron Ke Khiladi (season 2) and Bigg Boss (season 5). This left-handed badminton player has an unforgiving style of play on the court which made her win 2 gold’s and silver in the Delhi Commonwealth Games. She is aggressive both on and off the court (if needed). Gutta has been credited to have brought recognition for doubles badminton in India. Saina Nehwal is a professional Indian badminton singles player. She has maintained her name in the list of top 10 since 2009. She is one of the few females who became famous as badminton player in a shorter timeframe. She is one of the beautiful and hard working sportswomen that India has. Alisha Abdullah, the sexiest bike rider in India. She is India’s only woman superbike racer and the fastest Indian car racer. She has raced in her genes and is truly a daddy’s daughter. With her hotness quotient, she can take anybody’s breath away. She is unlike most other Indian girls who cling on dolls in their childhood days. She knew from starting that she has to become a national motorbike racing champion.